With the digitalization, real estate business has also board online, which is a must step to survive in this competitive world. Today, real estate website development standout as a differentiating factor in marketing strategy and unfolds immense potential to generate more leads and drive sales through online traffic. As we know, the real estate industry is huge and becoming more competitive, many companies are offering spectacular properties for sales to customers that attract them easily. The impact of digitization and associated marketing strategy reveals a promising future for the real estate. Let’s see what statistics has to say? The mobile revolution has brought real estate on a tap. Here is few statistic that reveals a crucial aspect of this industry. And,1% refers to printed advertisements for such queries. 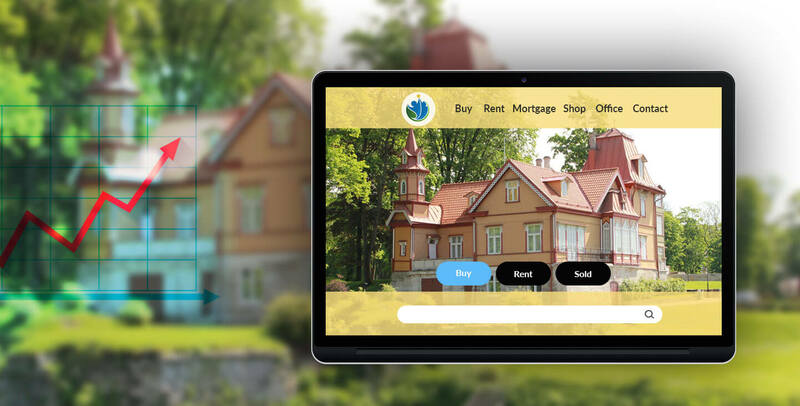 Drupal-based MLS website development is the most popular demand for real estate agents and companies as this website offers easy and user-friendly experience to the users allowing to navigate multiple features. Also, real estate website helps companies to capture users information like email address, type of property they are looking, budget and etc, which is beneficial for marketing purpose and to offer customized service according to their exact requirement. Moreover, these websites can lure their visitors with incentives to for signing up to increase subscription rates than those who still stick to traditional marketing strategies. No doubt, in last couple of years the real estate websites have witnessed surplus sales. The tradition marketing strategies like Print ads, posters, and other offline promotions are only worth when comes with online promotions on the website. It is very mandatory to walk with the advancing technology, for both success and long-term presence in the changing real estate landscape and competitive era. Go digital- with the Digital World! Real estate web developers focus on responsive websites, as it offers a feature through which users can view the property through AR Technology. Hence, users can avail complete experience of property, surrounding and other related options. Moreover, the advanced technology like AR/VR also helps your real estate brand to stay on the top. At Root Info Solution, the experienced MLS website developer understands the mobile version and emerging technologies and aims to delivers websites that successfully meets the need of real estate companies and the users at the same time. We cater top-notch real estate website development services, leveraging advanced technology that fulfils the ongoing demand of the customers and the real estate companies.